An additional 8% of investigations – an additional 17,918 investigations or 2.98 investigations per 1,000 children – found that there was insufficient evidence to substantiate maltreatment; however, maltreatment remained suspected by the worker at the completion of the intake investigation. Thirty percent of investigations were unfounded (i.e. the child had not been maltreated) and 26% were due to concerns about the risk of future maltreatment rather than actual cases of maltreatment. Child maltreatment is an important public health issue. 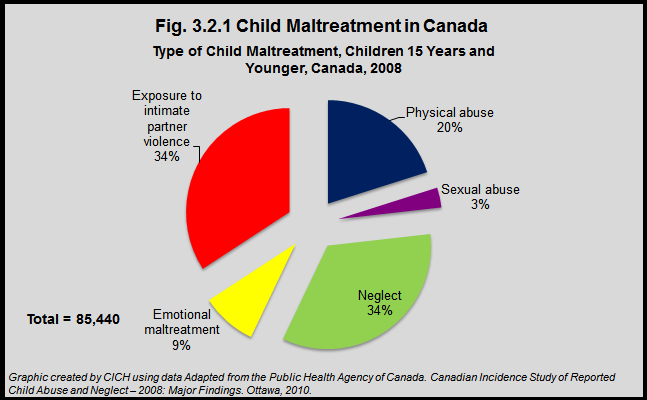 The prevalence and incidence of child maltreatment among immigrant and/or refugee children in Canada are unknown.